The Ministry of Finance will hold a conference in Ho Chi Minh City on June 9 to help Korean businesses to resolve all issues related to tax and custom procedures during their operations in Vietnam. Korean business groups can avail of the opportunity to air their grievances and views on tax and custom procedures with Vietnam authorities. The Ministry of Finance and the Korean Embassy in Vietnam had on June 2, co-organized a similar conference in Hanoi. The ministry has pledged to help Korean businesses resolve difficulties incurred during their operations in Vietnam and create suitable working practices to facilitate business growth. 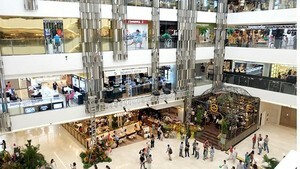 The ministry also said that Korean businesses would enjoy equal status as that of Vietnamese enterprises. More than 70 percent Korean small and medium-sized enterprises have invested in Vietnam to date, yet there is no department to help them in tax and custom related issues.